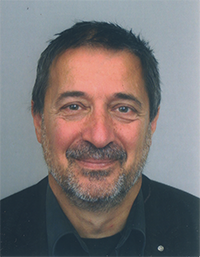 He is founder and past chair of Swiss Austrian German Simulation & Gaming Association, co-founder and past director of ten ISAGA summerschools and past chair of two ISAGA conferences. He is an expert of gaming simulation for urban and social systems in planning field covering future disaster mitigation and conservation for urban historic cities. He is president of JASAG and ISAGA EB member. David taught at the University Côte d’Azur in France, and was, for 26 years, Editor of Simulation & Gaming. He consults for several organizations in Asia and Europe. His interests and expertise are in debriefing, learning simulation, environmental issues and publication. 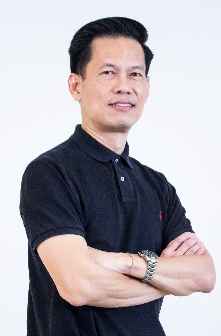 He was initiator and co-founder of ThaiSim. He is a Futurologist, Technology Strategist, Serial Entrepreneur, Business Adviser, Freelance Consultant, Keynote Speaker, Writer, Entertainer, Gamification Guru, 360 Video Pioneer, Thought Leader, Drone Pilot, Imagineer, Lover of Life, Business Coach, Mentor, Facilitator, Early Adopter, Guitar Hero, Broadcaster, Photographer, Visionary, Philosopher, Pragmatist, Innovator, Optimist.